HTC has this morning announced a brand new Android handset that attempts to deliver an “advanced smartphone experience” to new smartphone adopters. The HTC Explorer is the company’s most affordable handset yet, and is an ideal solution for those who are looking to adopt an Android handset to access basic features. I say basic features, because in order to achieve that ‘budget’ status, the Explorer has had to cut down on all the fancy things you’d normally find in HTC’s smartphones. There’s no dual-core processor here, and no super high resolution display. That doesn’t mean it’s not a bad handset, however. The Explorer looks good, with a curved and compact design that will ship in all kinds of fancy colors, including two shades of black, metallic orange, metallic white, and metallic purple. On the inside, the Explorer boasts a 3.2-inch HVGA (480 x 320) capacitive touch display, a 600MHz processor, and a 3-megapixel camera. That processor means you may struggle to run power-hungry apps and games, but again, for basic smartphone use, it’s all you’ll really need. 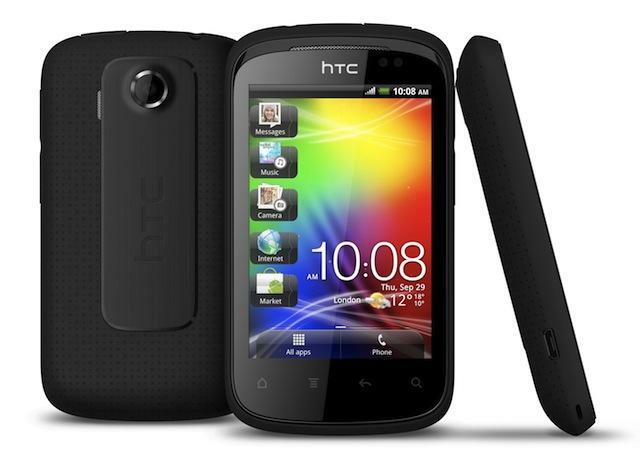 The Explorer runs Google’s Android 2.3.5 operating system, and boasts the latest HTC Sense 3.5 user interface. Because of that entry-level processor, however, you won’t get that snazzy 3D scrolling effect as you swipe between home screens or HTC Watch — the movie rental service — but who really needs those? Unfortunately there’s no word on pricing just yet, but you can be sure the Explorer’s going to be available free on most contracts, and it’s unlikely to break the bank if you do decide to go SIM-free. It will be available in Africa, Europe, the Middle East and Asia during the fourth quarter of this year. The HTC Explorer looks like a great device for those who are dying to get their hands on the Android OS but have a tight budget to contend with. What do you think of it?